Did you know that Viking invader of England ‘Ivar the boneless’ was speculated to have OI? That’s right ... A VIKING! OI awareness has kicked off with an amazing start in the Philippines. 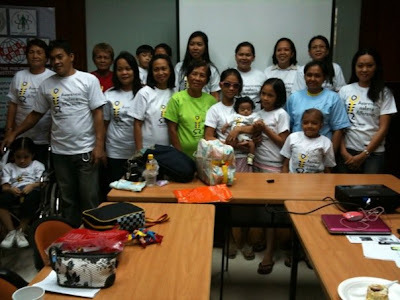 The first OI awareness day with families and health professionals at the Institute of Health in Manila. We look forward to continued developments from our friends in the Philippines! 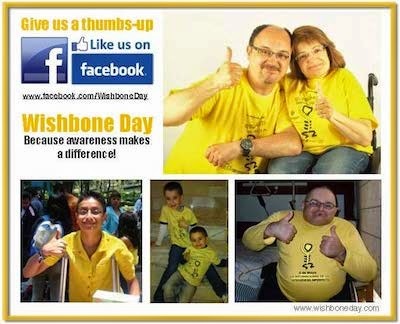 Wishbone Day 2011 is now less than 10 months away! Can you believe it? As more and more people from around the world join our global community awareness raising effort more exciting opportunities open up to make this the biggest Wishbone Day ever!